My daughter Amanda and I one year after her diagnosis with celiac disease. On this Mother’s Day I am thinking of my own Mom, who has faced with courage and grace a difficult year in which my always robust father has suffered numerous health setbacks, and my brother has had a kidney-pancreas transplant followed by a cancer diagnosis. I’m thinking of my mother-in-law, who welcomed me into her family more than 30 years ago and has been a source of optimism and support every day since. She’s given me an example of the kind of mother-in-law I hope to be. But I am also thinking of young mom I met just last week at the Celiac Disease Foundation expo in Pasadena, California. Her two-year-old daughter was just diagnosed with celiac disease and when we talked I saw myself, 23 years younger, reflected in her eyes. She told me how frightened she was of this new path on which she must guide her daughter and how concerned she was that somehow she would telegraph this fear to her child. And I was right back there in the weeks after my own two-year-old daughter was diagnosed with a disease I‘d never heard of. Despite all that I know now, I can still feel the uncertainty and fear of those early days. I realized it does not matter that “gluten free” is bandied about everywhere now or that there are so many more products on mainstream supermarket shelves than there were 20 years ago. When you find out your child has celiac disease, it’s all still new and confusing and comes with a palpable weight of responsibility that even adults managing their own celiac disease are spared. 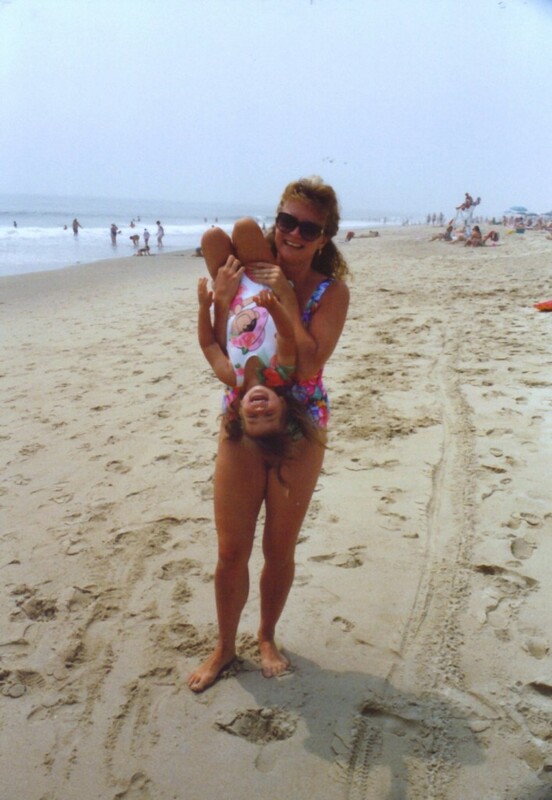 What I wanted her to know, more than anything else, was that her daughter can grow up just fine. Her little girl can do everything she wants to do and never be held back by the diet. Much of this will depend on her mom and dad. They are wise, at this early stage, to be concerned about the subtle messages they send their daughter about food and its role in her life. They can already see that along with providing her with safe food, they have to give her an attitude that says,” I can do this.” This little girl also has a nut allergy so her parents’ job is even more complicated. But they are a moving toward that very important place where fear starts to be replaced by relief that you know what’s wrong and by a commitment to do whatever is necessary to give your child a normal, happy, healthy life. I hope it helped them to hear from someone who has raised a child with celiac disease and knows that goal is reachable. I also thought it might help other parents wondering and worrying about what the future holds to read a piece I wrote several years ago when my now 24-year-old daughter was leaving to do study abroad in London. It’s called How Gluten-free Children Grow Up. You’ll find it here. I wish all mothers a day filled with love, cards, calls, kisses and maybe even breakfast in bed. But I have special wishes for those raising children with celiac disease.You have a unique challenge, and I have faith you are strong enough to meet it.